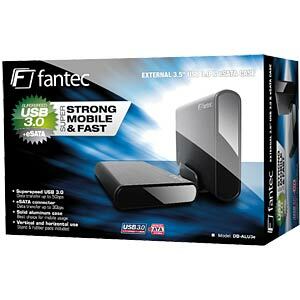 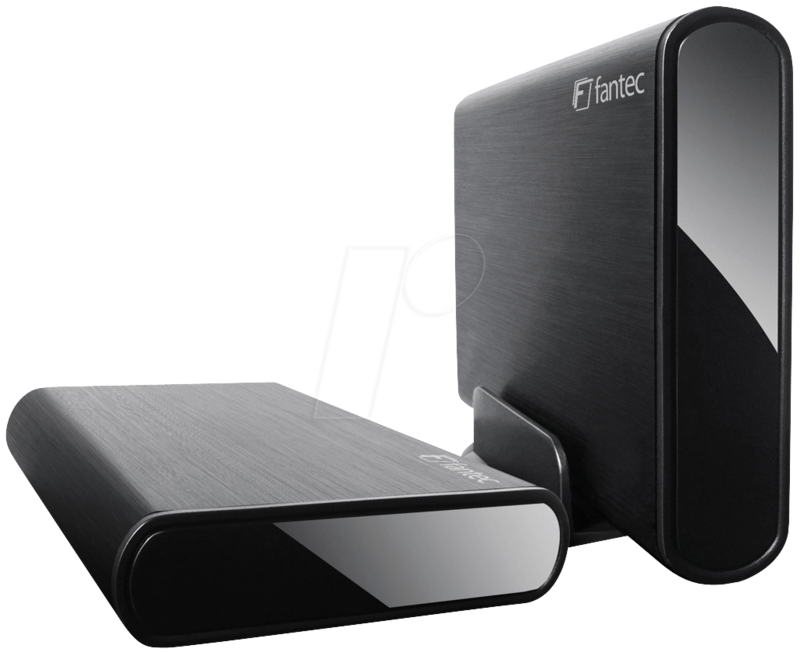 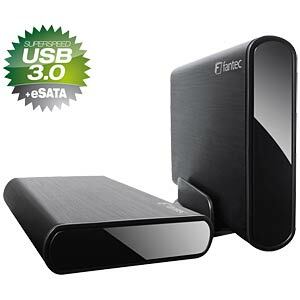 External hard drive housing in black for 8.89 cm (3.5") SATA hard drives with USB 3.0 and eSATA port. 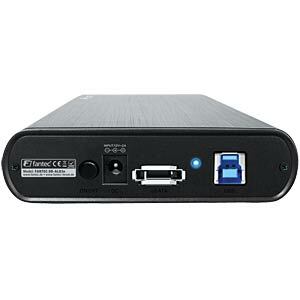 External hard drive housing for 8.89 cm (3.5 inches) SATA hard drives. 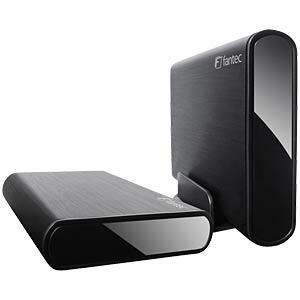 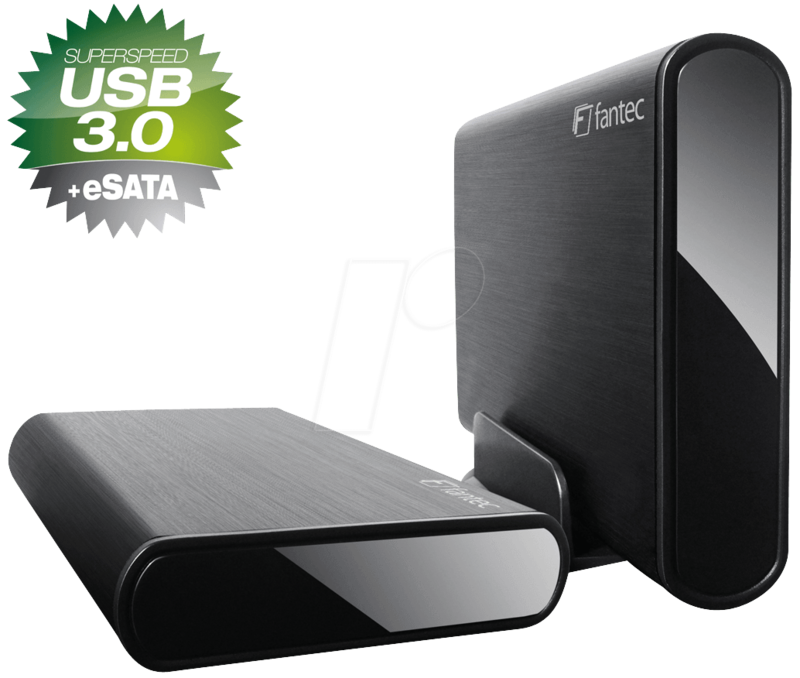 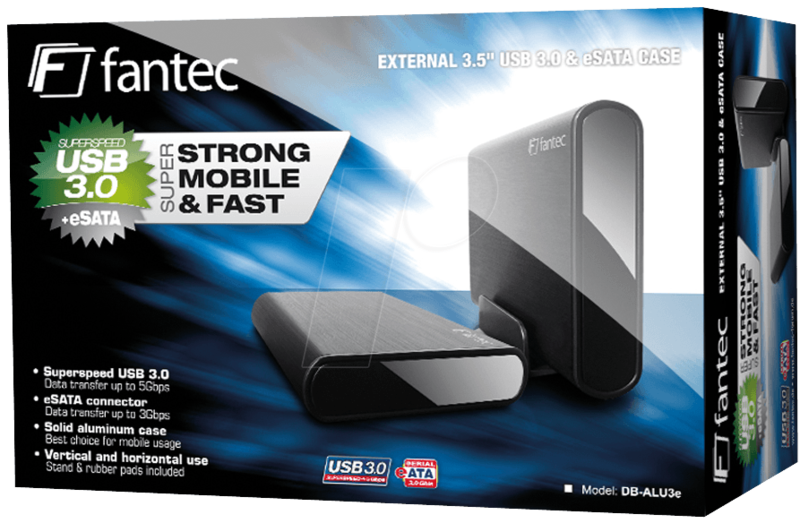 or the eSATA port for data transfer speeds of up to 3 Gbit/sec.